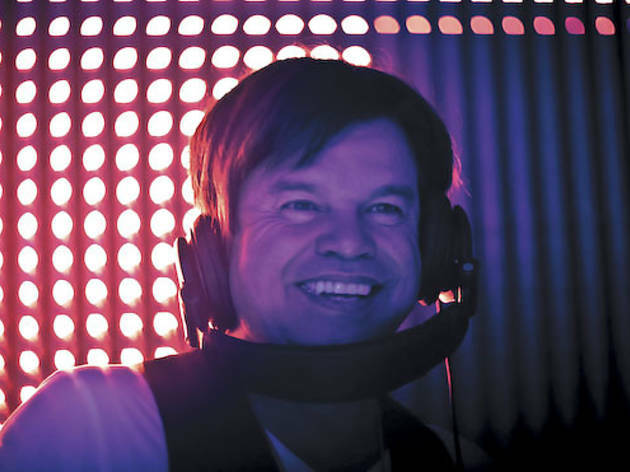 Dance-music legend Paul Oakenfold gets candid about his industry’s current popularity. One of the trade’s first superstars, trance and progressive house kingpin Paul Oakenfold has sold millions of songs, led a dizzying life on tour and earned two Grammy nominations in his 30-plus-year career. Now, with Skrillex becoming a teen idol and house icon David Guetta collaborating with Nicki Minaj, dance music is at the center of pop culture in America. What does this mean for a vet like Oakenfold? Prior to his headlining slot at the Mid on Saturday 17, he sounded off on fusing genres, integrity in pop music and the future of deejaying. What are your thoughts on the fusion of dance and hip-hop that’s been dominating the airwaves? I like it. I think collaboration in any respect, so long as it keeps the integrity of what you’re doing, is good. I don’t think that any genre should stand alone. I think music is to share in any shape or form. Some in the dance music community feel like that integrity’s been lost. Yeah, well I think they’re jealous. Whatever the form of music, there is always a much more commercial version. Commercial means that everyone likes it. That’s why people go and buy it. They like the song. The Black Eyed Peas’ “I’ve Got a Feeling” was a great record. I don’t think you can deny that. That was a popular record, there’s nothing wrong with that. Are you worried about dance music becoming over-saturated? No. My last two records have been pop records. I’ve sold over a million albums. I’ve had top ten hits and pop hits over the world. But I still go and do underground records and I still play cutting-edge music from new producers. Sixty percent of the music I deejay you can’t buy anywhere, because either I’ve made it, or I’ve got it as an exclusive. I think if you focus on great songs, great singers and cutting-edge beats, or what you’re known for, then your integrity’s there. It must be a really exciting time for artists, like you, who have some history. It’s a wonderful time for all of us. All the hard work that we’ve put in and living out of suitcases and not being with your family. That’s the underbelly that no one realizes. You’re living on planes. You’re living in hotel rooms. I think it will become like Europe, where this just becomes part of mainstream. The best records will be played a great deal, for the right reasons, rather than just a trend right now that everyone wants to jump on. Has the popularity of deejaying made it more difficult for those starting out? A modern DJ has to be a producer. I mean Avicii and deadmau5 are producers who turned into DJs. You can always see when they’re a producer first and a DJ second, and the other way around. A producer usually just plays his own stuff, and you’ll see the crowd always falls away towards the end of it. They’re not playing for what they’re meant to be playing for. People can’t just be DJs anymore. They have to be performers. I remember people made fun of me because I raised my hand and I jumped up and down with the crowd. Those people [are now] all doing the same thing. I learned this from U2 when I toured with them, that you’ve got to be a performer. When you step into that arena as a DJ, your performance is an important part of your connection with the crowd. 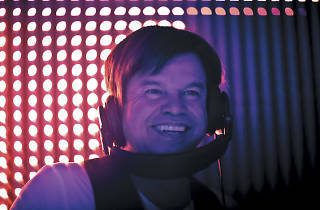 Paul Oakenfold takes to the stage at the Mid on Saturday 17.